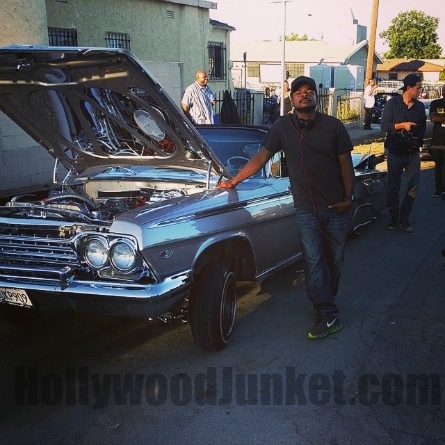 This “Gangsta” film has lots of heart, laughs, and yea…tons of “gangsta” stuff too! The film, if you don’t know yet, is about how a few boys from Compton (an unknown ghetto at the time) would come together to form one of the most iconic rap groups ever called N.W.A and the impact that the group had on the times, the culture, and eventually the present world. It displays the trials, tribulations, and triumphs of the group and the group’s individual members as well. Seeing as how one of them (*cough cough* Dr. Dre) becomes a billionaire and another by the name of Ice Cube becomes a huge solo artist, movie producer, actor, and writer you can kind of guess the group was a success in case you weren’t aware. None of it would’ve ever happened had it not been for the group though. 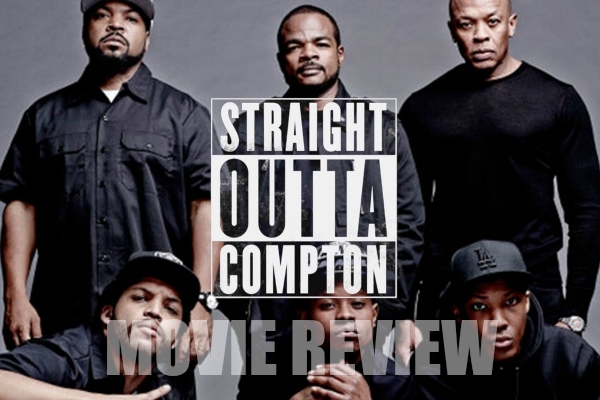 It all started back in 1987 where the movie kicks off with Eazy E, portrayed perfectly by Jason Mitchell, partaking in a drug deal that goes very wrong very quickly and the ride continues just about non-stop after that. Quickly we get looks into the upbringings of Ice Cube and Dr. Dre played by O’shea Jackson Jr. (yes Ice Cube’s son played his father but he was the best man for the job) and Corey Hawkins respectively. These leads may not be household names. Actually some of the projects they were in prior, their characters didn’t even have names but I promise you after this film the world will know who they are. Not only do they look like the people they are portraying but they nail their voices, mannerisms, and personalities completely which is no easy task. The movie isn’t all about the glamorous side of rap-like performances, parties, and excess women (although there is lots of that) but it also deals with lots of personal drama, health issues, tragedies, and even comical moments and the actors pull off every unique moment wonderfully. Pictured above: S.O.C. 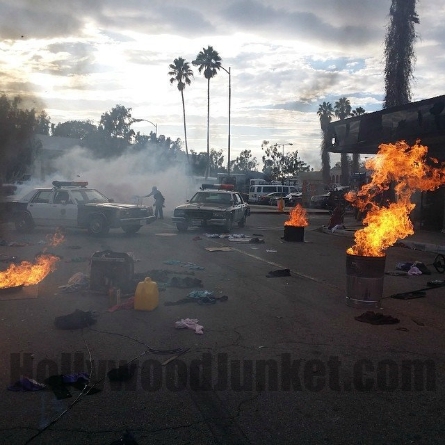 recreated the L.A. riots. 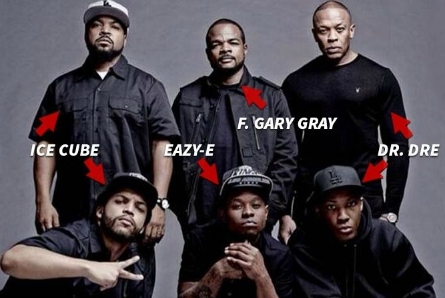 While the actors playing the members of N.W.A may not be known to film buffs one actor definitely is. Paul Giamatti plays the groups manager Jerry Heller who discovers them as they are on the rise and helps them get major deals. Just like most managers though he isn’t all good but he’s no devil in the flesh either. Paul is one of the most under appreciated actors of our time having been in almost 100 roles in every imaginable film genre and very rarely does he miss the mark. This isn’t just another notch in his belt though this performance is one of his finest. I don’t know Jerry Heller personally but I don’t think he could’ve played himself better than Paul Giamatti played him. Throughout the film different people influential in the group members’ lives appear such as Suge Knight, Tupac, and Snoop Dogg which add to the authenticity of the film as we watch them create songs and moments that would forever alter rap history. Director Felix Gary Gray and screenwriters Andrea Berloff (“World Trade Center”) and Jonathan Herman really did incredible jobs not only capturing the gritty streets of Compton and the times of the late 80s and 90s but they also balanced it so well with compassionate characters that were all grounded with a purpose they fought for and moments of humor too. Speaking of the times the way things played out with the police during the film is eerily similar to things happening now in cities across America daily so while it may be showing moments from decades ago it all still feels so timely and will resonate with today’s audience. A lot of credit goes to the producers as well headlined by actual N.W.A members Ice Cube and Dr. Dre along with Eazy-E’s wife “Tomica Woods-Wright.” I’m sure their involvement kept the film as authentic as possible. I would love to get into specific scenes or lines but there are so many unexpected twists and turns that I wouldn’t want to give anything away. I would also love to tell you about the flaws of this film but it doesn’t really have many. I strongly advise everyone of age (as the film definitely earns its R rating) to go buy a ticket for this film this weekend. Whether you are a fan of the group or just a fan of great movies this is a much watch! As I always do in trendy Instagram fashion let me make it real clear how much I liked this movie. This Film Gets – 5 LIKES!